After finishing the season without a trophy, it appears as though Carlo Ancelotti’s time as Real Madrid boss is about to end. Rumours are circulating that the Bernabeau is about to welcome a new manager with Napoli boss Rafa Benitez being lined up to replace the Italian. Ancelotti will lead his side out for their last game of the season against Getafe but it will almost certainly be his final game in charge. Real’s board is fuming that Ancelotti has failed to build upon their record breaking 10th Champions League title last year and are getting ready to make the change. Several reports indicate that discussions with Benitez representatives are in the latter stages despite only 7% of Real fans polled actually wanting the former Valencia, Liverpool and Chelsea boss as their next manager. 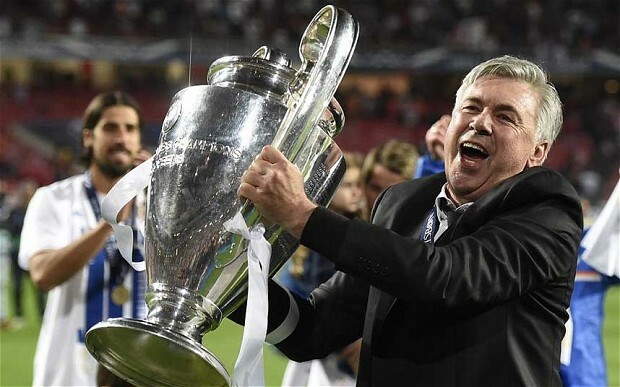 Ancelotti, who is being linked with moves to Manchester City or a mouth watering return to AC Milan, has failed to win the La Liga title in the two years that he has been in charge which has been deemed unacceptable by the extremely demanding Madrid board. 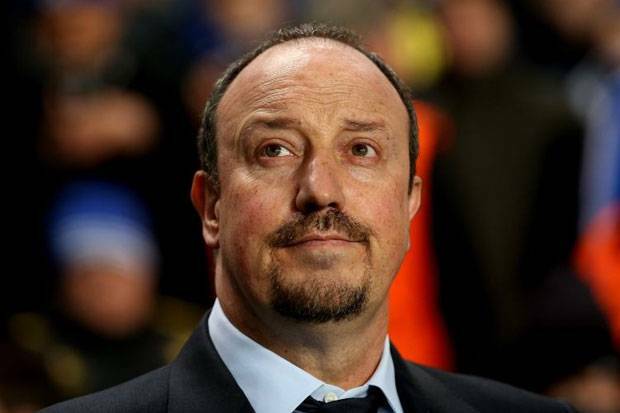 Benitez contract with Napoli is due to expire at the end of the season with the Spaniard unwilling to sign a new deal. He has been linked to the West Ham job in recent months but has fallen short of stating his interest in the role, instead preferring to defer his answer to the end of the season in an attempt to keep his options open. That patience looks like it has paid off with Madrid now in the hot seat to land him. Benitez would arrive with a winning pedigree having won something at every club he has managed since taking over at Extremadura in July 1997, the highlight of which would probably be lifting the Champions League title with Liverpool in Istanbul in 2005. That final more than any defined Benetiz as one of the best managers in the game after inspiring his side to come back from 3-0 down at half time to win on penalties in an epic final ironically against Carlo Ancelotti’s AC Milan. However it’s his success in Spain during his time as Valencia manager that attracts the Real board more than anything else. Having won the La Liga title twice during his three years in charge of Los Murcielagos, the Real board is convinced that he can deliver the much desired league title back to Real Madrid for the first time in four years. With a talented squad at his disposal and a healthy budget to bring new faces in, the challenge for Benitez will simply be to make sure that Real are competitive against Barcelona and Atletico next season and ultimately deliver the title back to Real. Benitez could be joined at Real by Manchester United stopper David De Gea with the Spanish international reportedly keen to move back to Spain for personal reasons. De Gea will not feature in United’s game this weekend against Hull after sustaining a hamstring injury in the 1-1 draw with Arsenal and will be replaced by Victor Valdes. There has been speculation that De Gea may leave at the end of the season for a while now but the biggest indication came in the game against Arsenal. 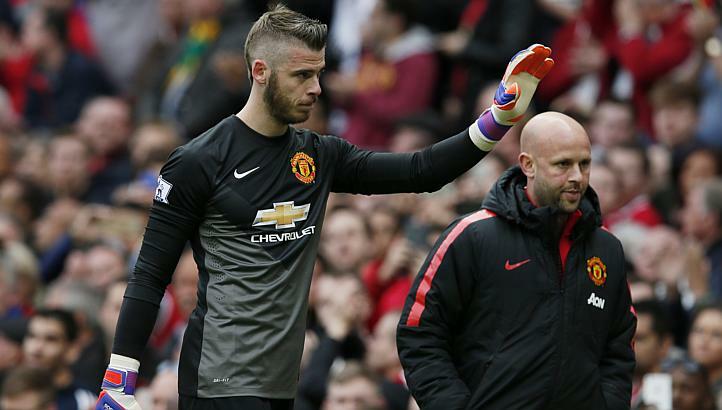 As he trudged off the pitch, De Gea lifted his left hand and waved to the fans as if to say thank you one last time. After the match, Manchester United manager Louis Van Gaal dodged a question asked by the BBC about whether De Gea would be leaving by saying that it would be up to De Gea whether he is to stay or not. He also indicated that the club is making plans for life without the Spaniard by telling the reporter that they have identified other options for the goalkeeper position. Any potential move to Madrid will be subject to the two clubs agreeing a fee or constructing a deal that suits both parties. Real Madrid have been quick to squash rumours of a potential swap deal involving Gareth Bale, insisting that the Welsh winger will be staying and is a key component of their long term plans. Bale has had a torrid second season in Spain with the Real Madrid fans and the press often singling him out for criticism when the team under performs. The world’s most expensive footballer has not reacted well to the abuse and is rumoured to be considering his options, which has alerted a host of English clubs including Manchester City, Chelsea and Manchester United. Benitez however will be keen to hold on to the player at all costs especially if he is to introduce his favoured 4-2-3-1 formation to Real next season.